A walrus (Odobenus rosmarus) at sea. Walruses are marine mammals that live in shallow coastal Arctic waters where there are ice floes. Their upper canine teeth have elongated to form tusks that they use to climb out onto the ice and for fighting. In males, the tusks may reach a metre in length. 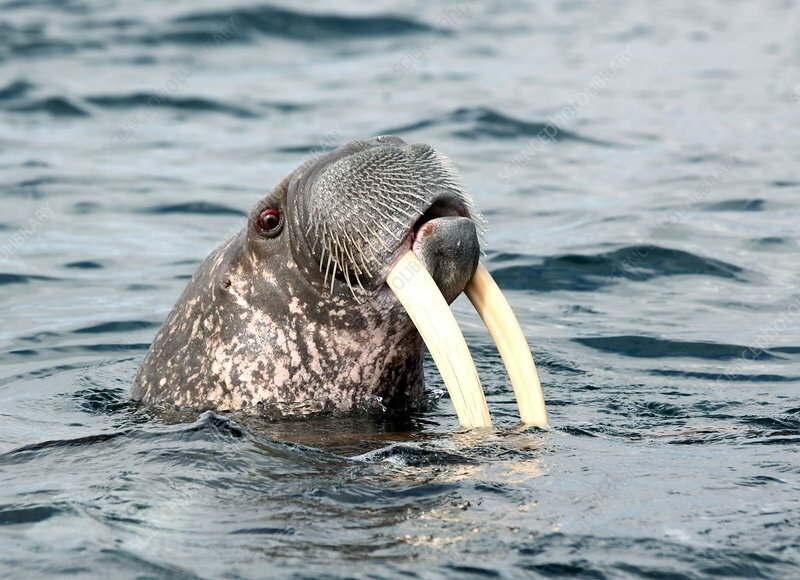 Walruses feed largely on molluscs and shellfish which they locate by brushing their muzzles along the sea floor. They are social animals, often living in large groups. Photographed in the Barents Sea.